I found this recipe years ago from the Tri-City Herald. They suggest Jumbo cookies, but I make 2 ½ inch cookies. Heat oven to 375 degrees. In medium bowl combine flour, cake flour, baking soda and baking powder; set aside. In large mixer bowl, combine sugar, brown sugar and butter. Beat at medium speed, scraping bowl often, until creamy, 2 to 3 minutes. Add eggs and vanilla. Continue beating; scraping bowl often, until well-mixed (1 minute) Reduce speed to low, continue beating and add flour. Original recipe calls for adding the flour gradually, but I add it all at once and once the flour is incorporated stop mixing. 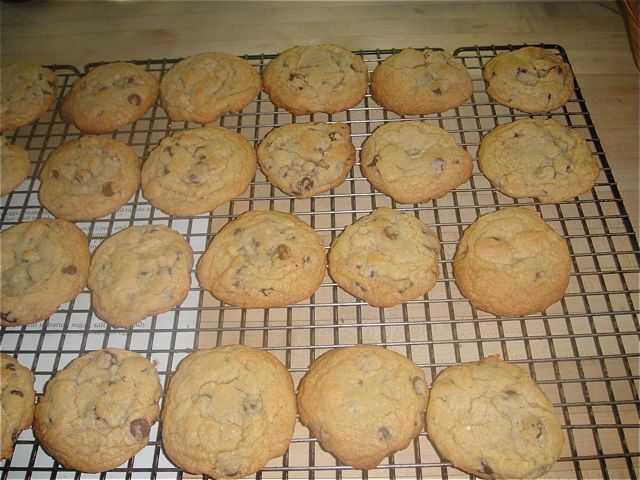 The key is not to overwork the flour mixture which will make your cookies tough. By hand, stir in chocolate chips. 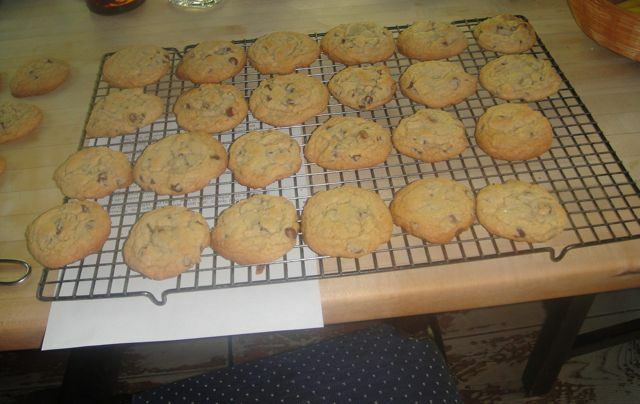 For 2 1/2 inch cookies, drop by rounded tablespoons 2 inches apart onto cookie sheets. Bake for 10 to 12 minutes until light golden brown.